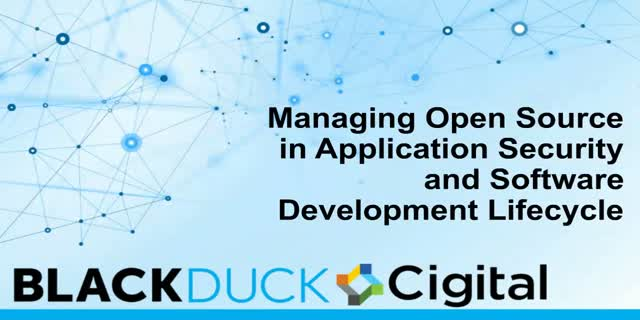 Today, open source comprises a critical component of software code in the average application, yet most organizations lack the visibility into and control of the open source they’re using. A 2016 analysis of 200 commercial applications showed that 67% contained known open source vulnerabilities. Whether it’s a SaaS solution you deliver to millions of customers, or an internal application developed for employees, addressing the open source visibility and control challenges is vital to ensuring proper software security. Open source use is ubiquitous worldwide. It powers your mobile phone and your company’s most important cloud application. Securing mission critical applications must evolve to address open source as part of software security, complementing and extending the testing of in-house written code. - New security considerations organizations face in testing applications that combine open source and in-house written software.